With the changing of the seasons upon us, the snow melting and grass returning to vibrant green, we are reminded that spring is here and it is time to clean! 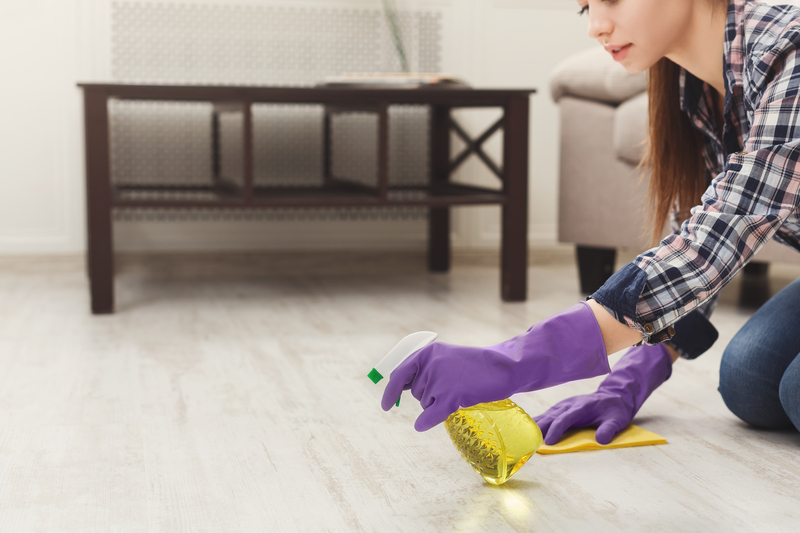 Spring is full of fresh starts and there is no better way to prepare your home then to re-arrange, clean and let the fresh air wash the winter out of your home. Here are some of the tools and tricks we found useful while Spring Cleaning our home. 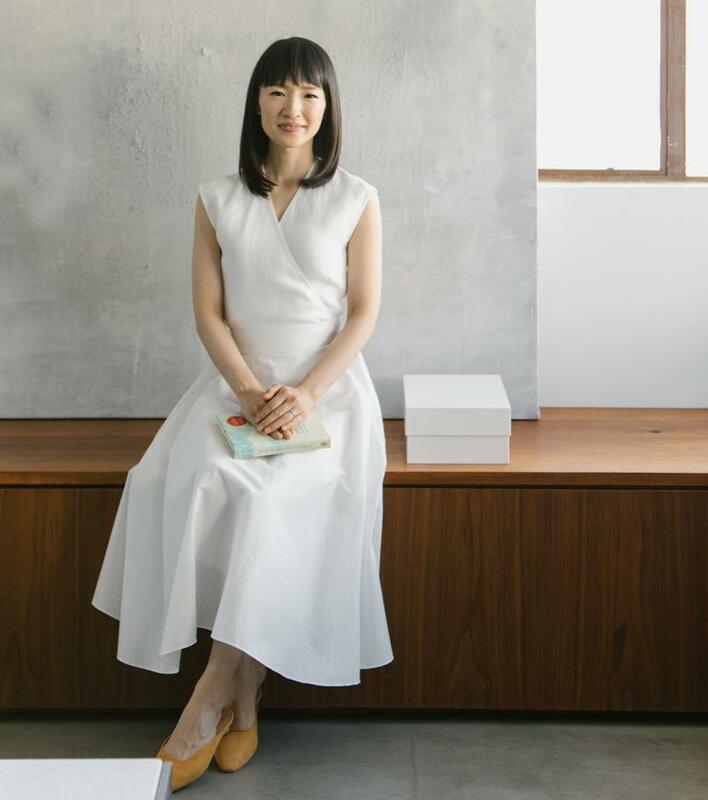 The inspiration behind this post comes from the recent release of the Netflix show “Tidying Up with Marie Kondo”. Marie helps families clean their homes and shows them ways to tidy much more effectively. She also has written two books on the subject which you can find on her website. 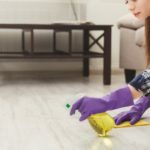 If you are able to do all six of these then you are well on your way to successfully start and finish your Spring Cleaning! Let’s start with the bedroom. In this space, the key features that should be looked at are your bed, closet, and dresser space. Another great organization tool for your bedroom involves your dresser. Many people tend to fold their clothes in a way where every time you go to find your favorite shirt you destroy the perfect piles you made. 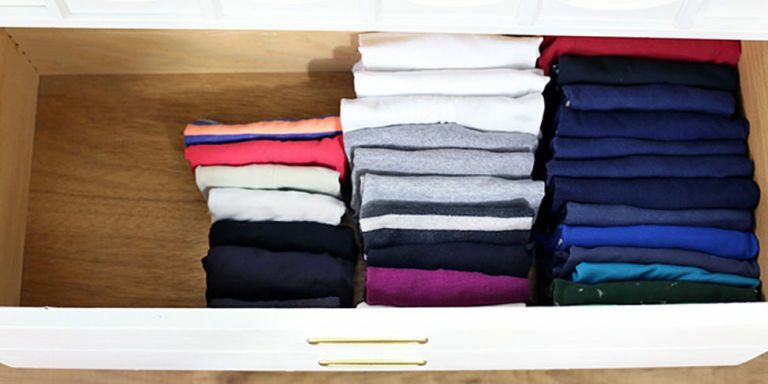 To fix that problem and organize your shirts and pants, fold them upright so each article of clothing is visible as shown below. 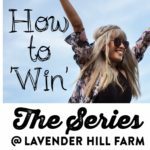 A suggested tip to keep your clothes smelling fresh long after you wash them is by using our Lavender Shirt Stacks and Sachets. 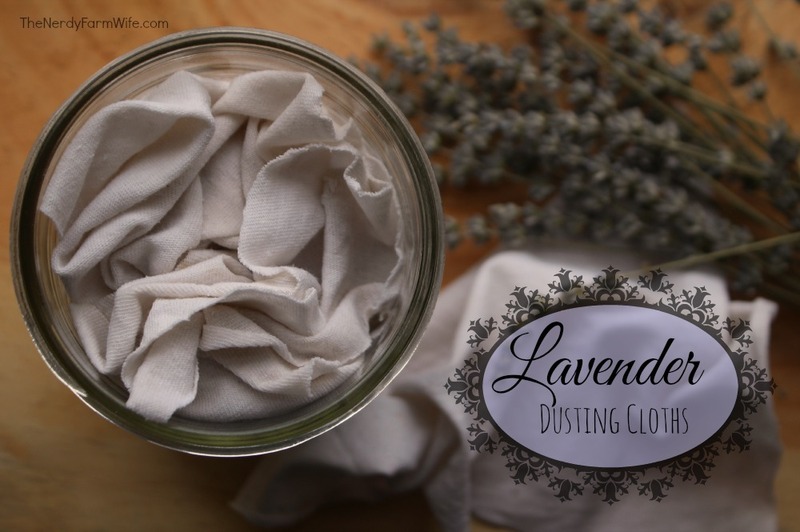 Stick these in your dresser or closet and you’ll have lavender scented clothes to indulge in. To view, these products click HERE. The bathroom is our next stop. 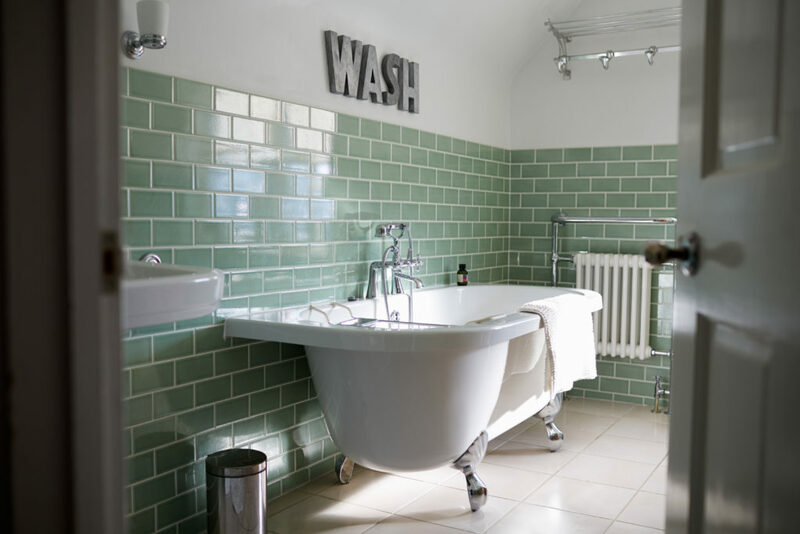 We have a ton of cleaning tricks you can utilize to have your bathroom clean and smelling fresh in no time. 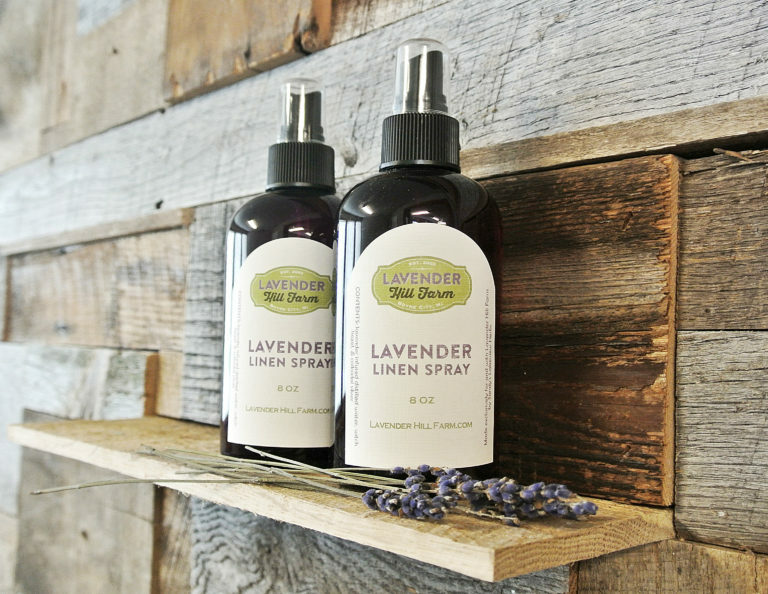 The first item essential to your bathroom cleaning is an all-purpose natural lavender disinfectant spray. You can purchase these at a store, like our gift shop, or make your own DIY style. This is good for all surfaces in your bathroom including your sink. If you’re looking to get really crafty, then this section is for you. 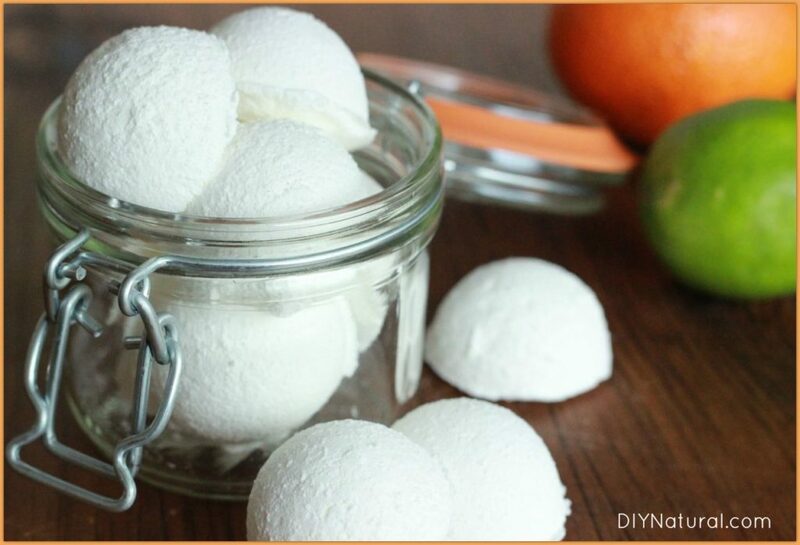 Below is a recipe for Toilet Bombs, which are essentially a natural toilet cleaner and deodorizer you can make at home with just a few ingredients. 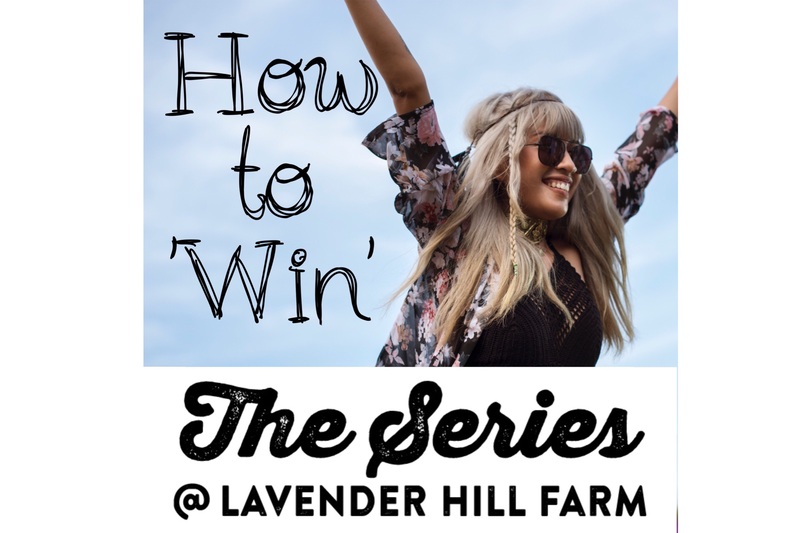 This is a great project for all of you who are continuously looking for ways to move away from chemical based products to more natural home remedies. This recipe was found on DIY Natural, for the full article click HERE. Place all dry ingredients into the gallon bag. Seal the bag, and knead to the combine ingredients of the toilet bombs. Open the bag, spray 2-3 times with water, and close the bag. Mix and knead the bag until all the moisture is absorbed. Repeat this step a few times. 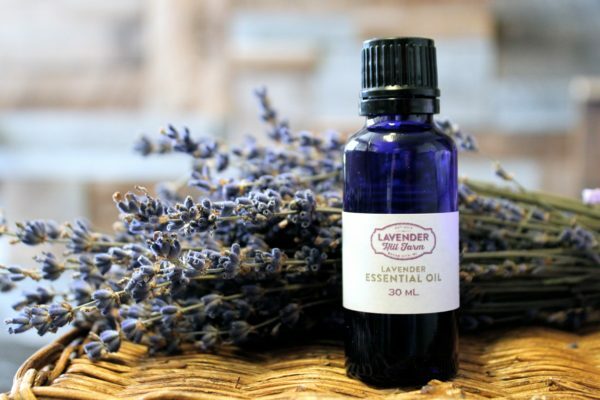 Add 25 drops lavender essential oil and mix again. Leave the toilet bombs to dry for a day or two and then unmold. The toilet cleaner bomb will be fragile at first but will harden considerably over the next few days. Store in a glass jar with a tight-fitting lid until ready to use. Let’s give your living room a breath of fresh air by cleaning fabrics and clearing out the dust. Furniture fabric can often be neglected if it is not removable, so how do you clean it? 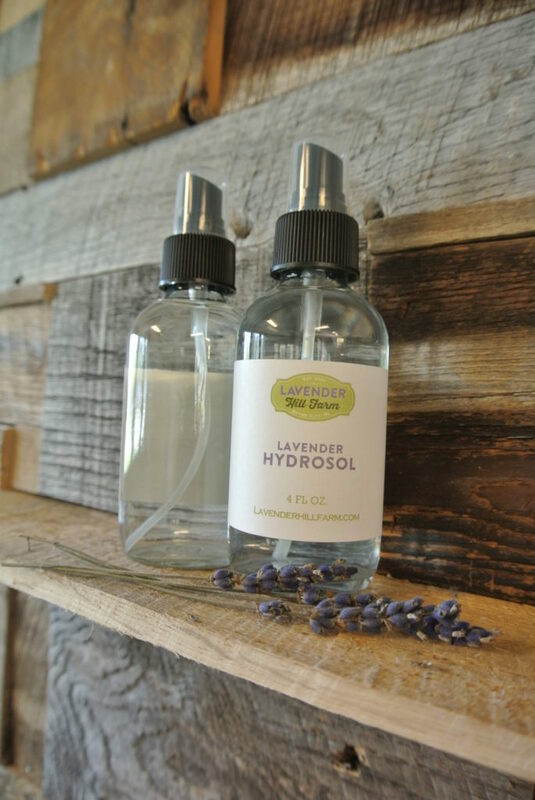 At Lavender Hill Farm, we make a Lavender Linen Spray; the perfect pick-me-up for your couch. This can be used on all different linens around the home. 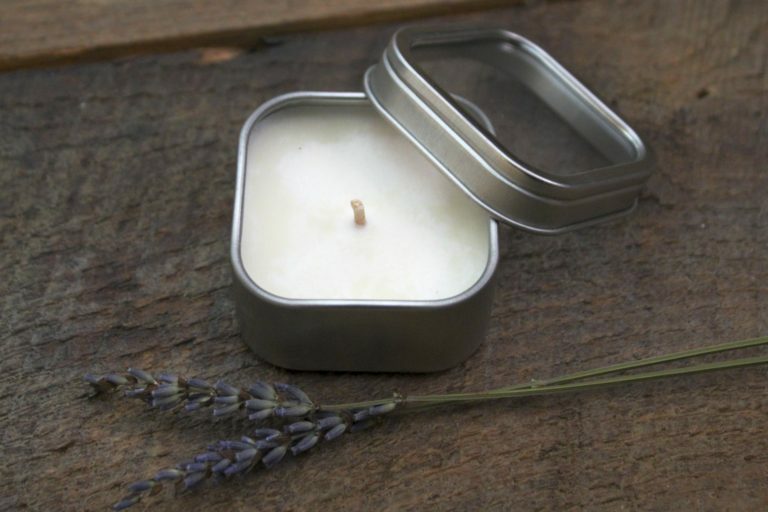 The smell of lavender will fill your home in a natural way and help you relax after those long hard days at work. To combat the dust in your home, we found a recipe for DIY dusting cloths. 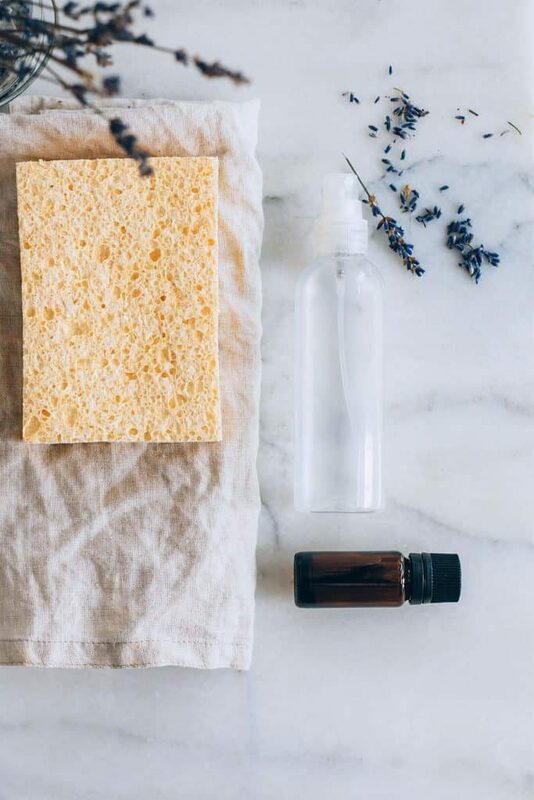 Keep your home smelling fresh naturally without the harsh chemicals other products may have. Found on The Nerdy Farm Wife, the full article can be found HERE. 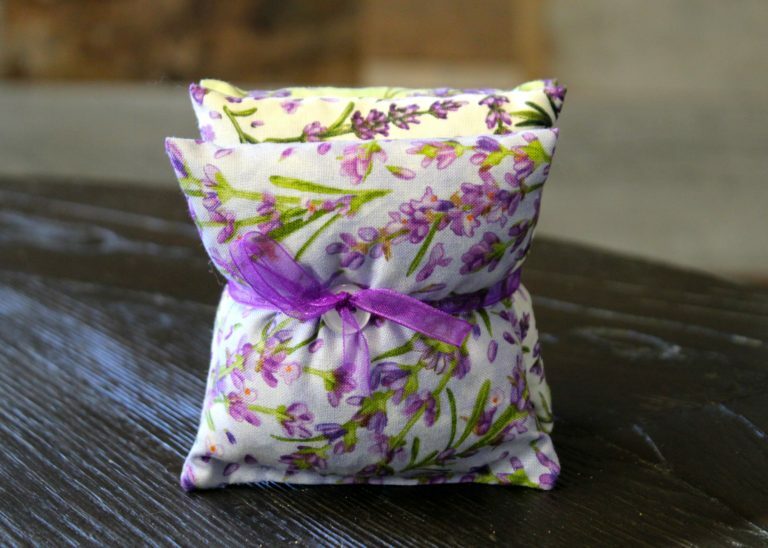 Soak the rags in a solution of 1 cup hot water, 2 tablespoons of olive oil, and 10-20 drops of lavender essential oil. The final stop on our spring cleaning tour is the kitchen. 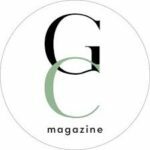 All of these recipes below come from the site Greatist, and you can find the full article HERE. The microwave can become very dirty very quickly. Pour vinegar and lemon juice in a small microwave save cup and microwave for 2 minutes. Let it sit, with the door closed for a few minutes then use a warm cloth or sponge to wipe down the interior of your microwave in a few easy swipes! One item in your kitchen that tends to never get cleaned correctly is your cutting boards. 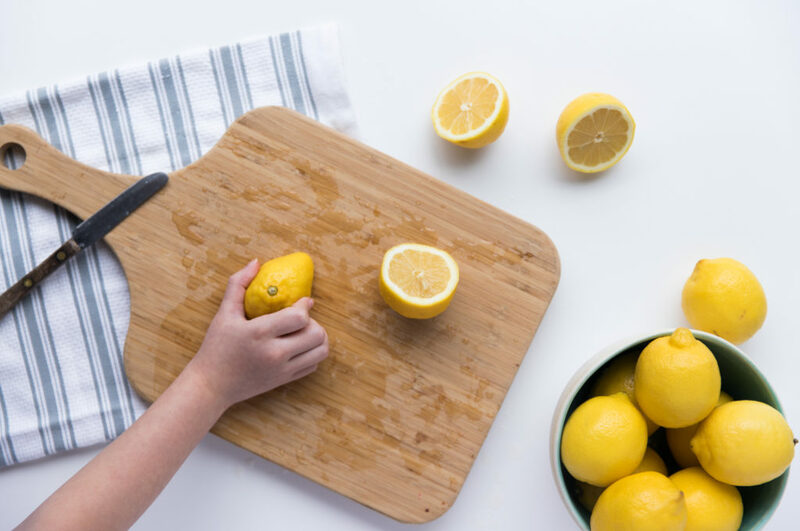 The best way to properly clean and disinfect the board is to use a lemon! All you have to do is cut the lemon in half and rub it along the board. Once it’s fully soaked and scrubbed down, let it sit for about 10 minutes. If you need more elbow grease for the really bad stains, try using salt with the lemon as well. 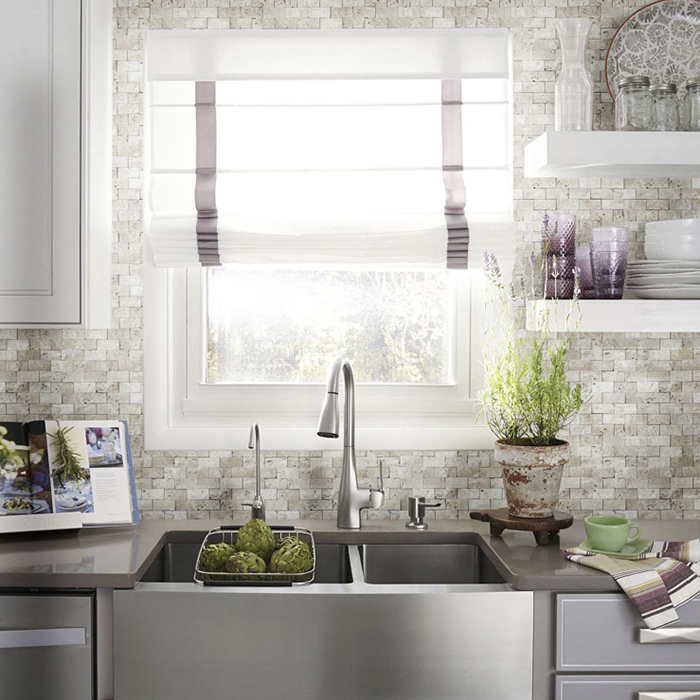 We hope this post inspired you to spring clean the natural way. Don’t forget to light a candle and sit back and enjoy your clean home when you are done!